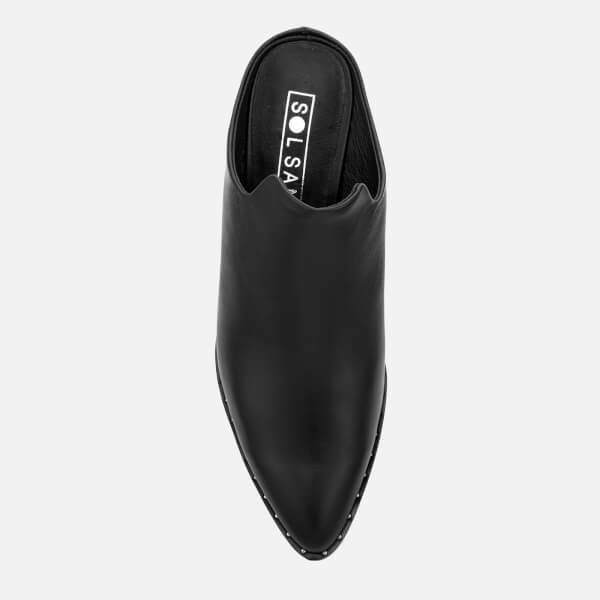 Women's black leather mules from Sol Sana. 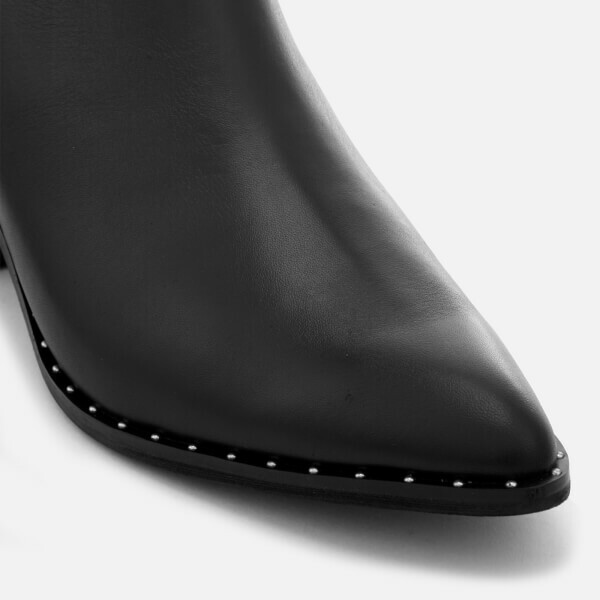 Crafted from smooth leather to form a sleek upper, the 'Clarice II' heeled mules feature a pointed toe and have been accentuated with delicate stud detailing at the welt. 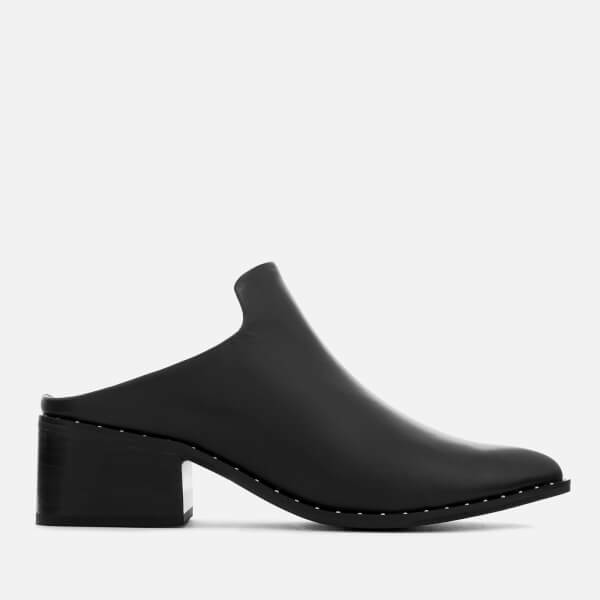 The slip-on shoes have an open heel in the style of a classic mule. 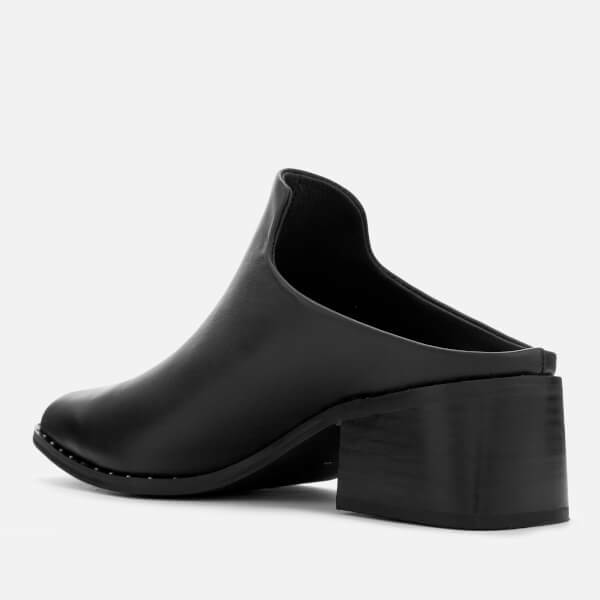 Set upon a rubber sole and two inch stacked heel.